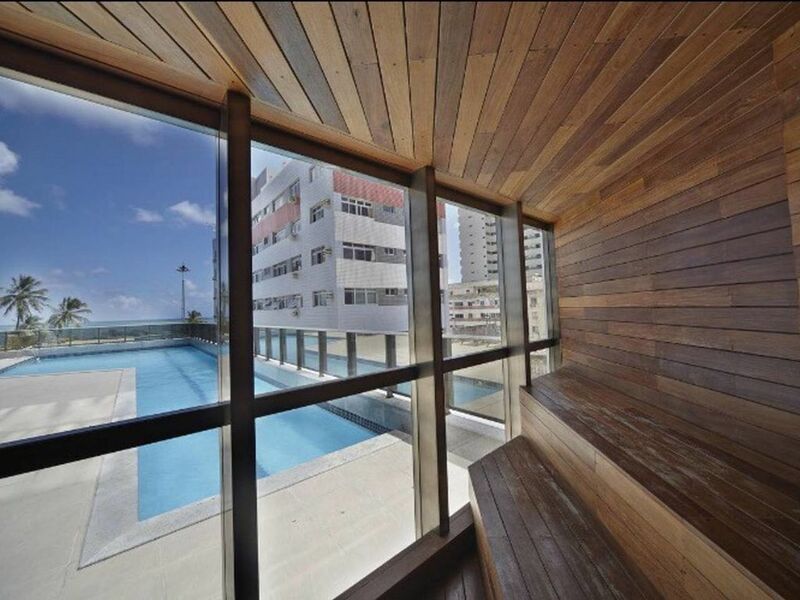 The Hotel Transamerica Prestige is located on the seafront in Recife, on the 29th floor facing Boa Viagem Beach. It features an outdoor pool, modern gym, 24-hour room service, free Wi-Fi and free parking. The air-conditioned room at this 4-star hotel offers luxurious d&eacute;cor and panoramic sea views. It has a minibar, cable TV and a living room with a balcony. The Transamerica Prestige Beach Class International breakfast buffet is delicious. Guests can enjoy exotic drinks on the terrace or enjoy international and local dishes in the restaurant. Gilberto Freyre International Airport is only 6.6 km from the hotel and the Pernambuco Convention Center is 11 km away. Old Recife is 2 km away. Rio Mar Shopping Center in Recife is less than a 5-minute drive away (1 km). to cover any damage. Payable directly with the owner of the establishment. This deposit is returned at the check-out by the owner.